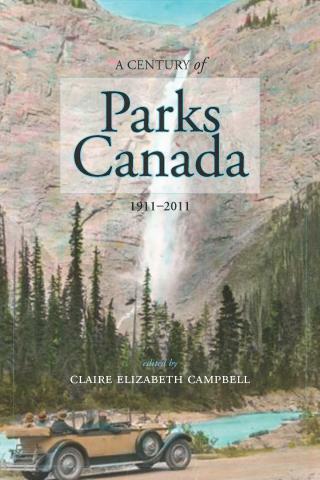 I am really pleased to announce the publication and simultaneous e-publication of the first book in the new NiCHE / University of Calgary Press “Canadian History & Environment” series: A Century of Parks Canada, 1911-2011, edited by Claire E. Campbell. Congratulations to Claire and to all the chapter contributors. When University of Calgary Press Director Donna Livingstone and I started talking about a series two years ago, we quickly came to agreement on what could make that series special. How about all edited collections, capturing the energy of the environmental history / historical geography community in Canada? Yes. How about encouraging contributors to get together and workshop the book early in the process? Yes. How about publishing not only a print version but an online version as well – and a free, simultaneous, open-access version at that? Yes! A Century of Parks Canada, 1911-2011 is the (first) culmination of that conversation. When you visit the book’s site, you’ll find that you can either buy a hard copy or download the eBook in chapters for free.